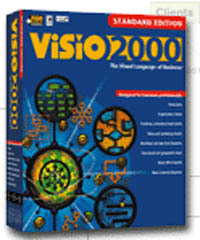 Visio Corporationis a tool for creating flowcharts, organization charts, timelines, marketing diagrams and more. Using its Microsoft Office integration, you can add drawings to your documents and presentations. This product is Internet-enabled so one can share diagrams and communicate ideas across the corporate intranet and the Web.